10 YEARS OF NESPRESSO & WATERMARX | A Caffeinated Love Story! A: He sippped his coffee before it was cool. Nepresso was pretty much always cool. 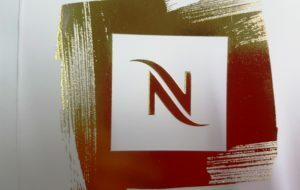 The premium brand opened it’s first concept store in Australia, about 10 years ago in King Street, and has been steaming along ever since.The coffee pod phenomenon has been truly embraced here in Oz, and Nespresso has led that charge. They worked with us to create all kinds of premium printed magic from invitations to brochures and more. From the beginning, Watermarx has been collaborating with the team to manage the majority of the printed marketing collateral needs of the brand. 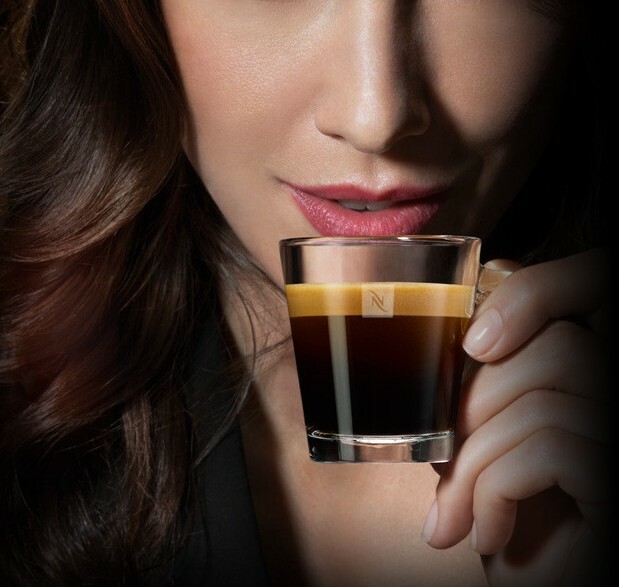 Since then, Nespresso has grown into an exciting empire, with the support of coffee-loving Aussies, and we are proud to have been part of their success story here in Australia. 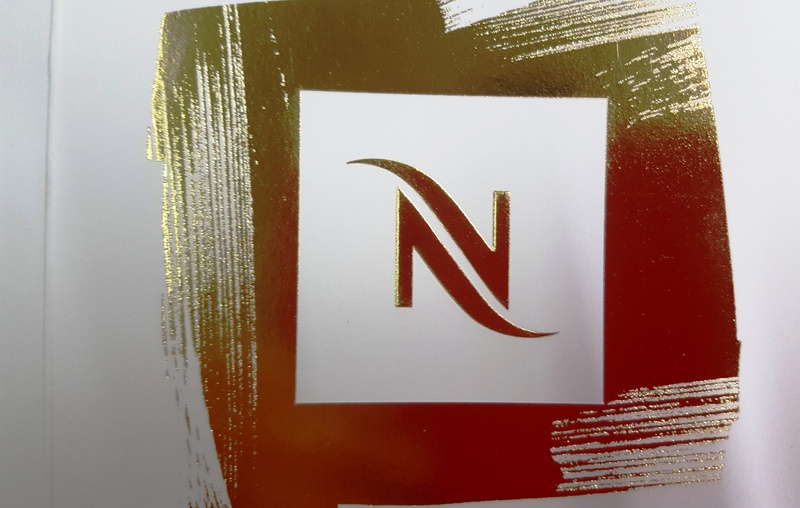 Watermarx has always prided itself on its dedication to quality and service and would like to thank the team at Nespresso for allowing us to be part of the magic over this past decade. As you know, here at Watermarx we are a small team, but we pack quite a punch in terms of our skill and expertise. We are now focusing our heart and souls purely on what we do best, and what you have come to rely on us for, beautiful letterpress printing and high-quality specialty embellishments like embossing and foiling. We woof you a furry Christmas! Last year, our loyal mates at KW Doggett invited us to print their 2015 Christmas card on their stock, Wild. Wild is an Italian-made paper that lends itself to embellishment, because of it’s high bulk, cotton fibres that reveal a sharp impression, and Doggetts wanted to showcase this capability. 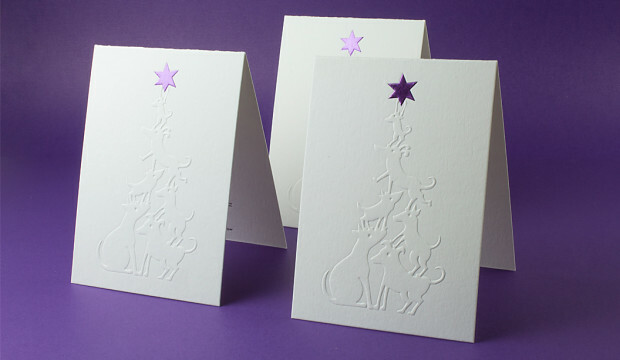 We used CLIQX to achieve the crisp, eye-catching letterpress result finishing the cards with a combination of blind embossing and foiling in the Doggetts signature purple. The result was rather… fetching.